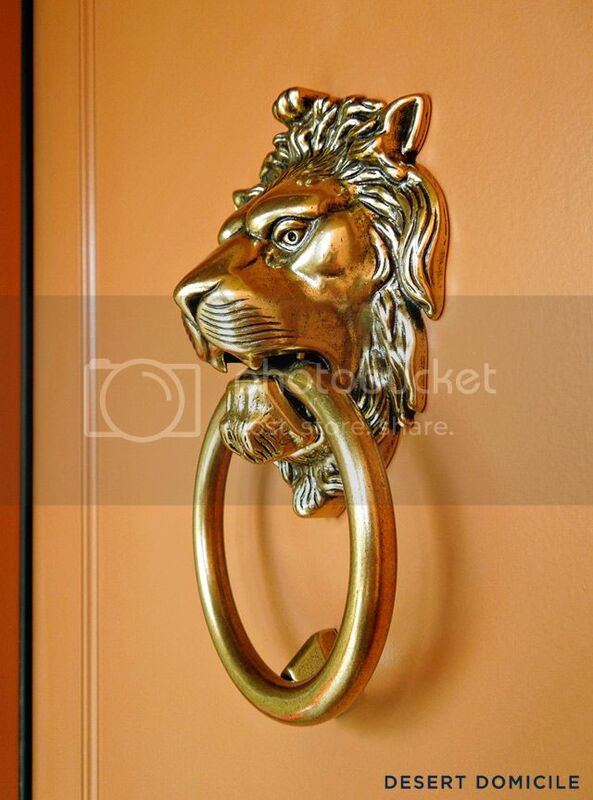 After a bit of trial and error (and 4 trips to Home Depot), we finally got our lion head door knocker hung up! It looks a little small on our massive door but I like the size. It has extra room around it for holiday wreaths! 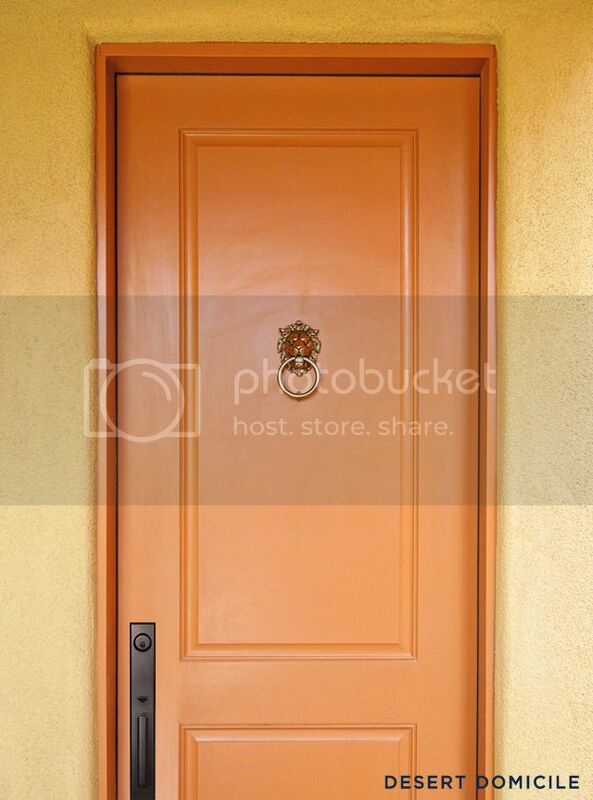 I love how the brassy finish looks on our orange door! 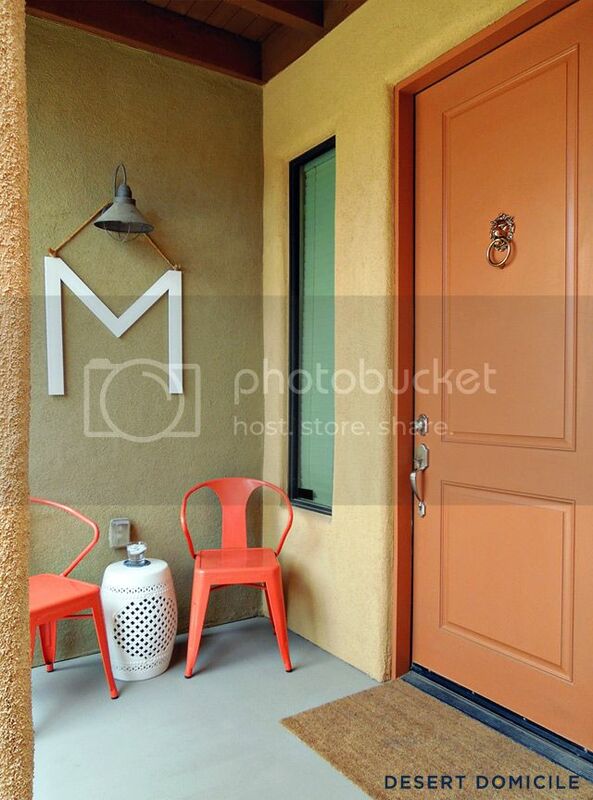 Remember when we had our Crate & Barrel Dundee planters on the patio? Well we ended up moving them off of the patio because the spineless yucca wasn't getting enough sun and was starting to die. I think we need to move the planters even further out into our front courtyard but I'm not sure what will take their place. I kind of like the mini privacy barrier they create. Question for those of you that have door knockers: did you caulk the edges where it meets the door so no rain can get behind it? 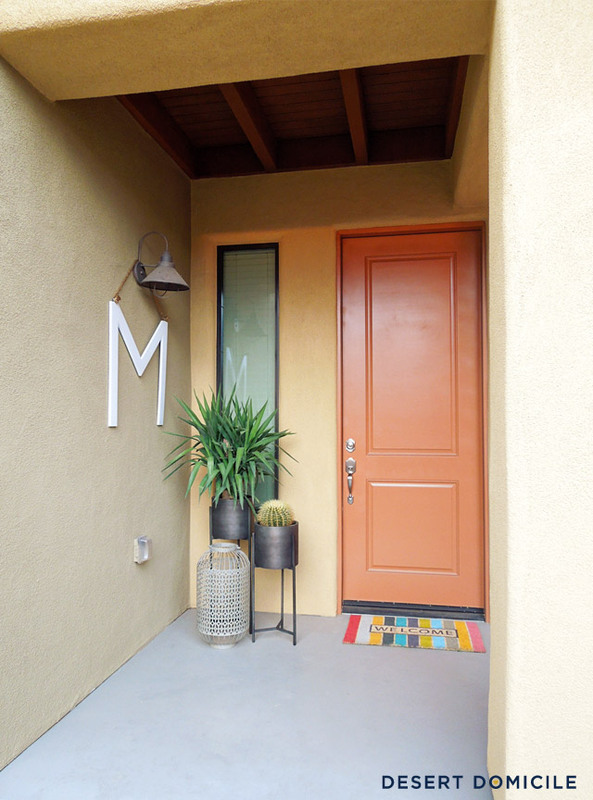 Ours is flush with our door but we get crazy monsoon storms in the summer (it literally rains sideways) and I don't want to run into any mold issues. 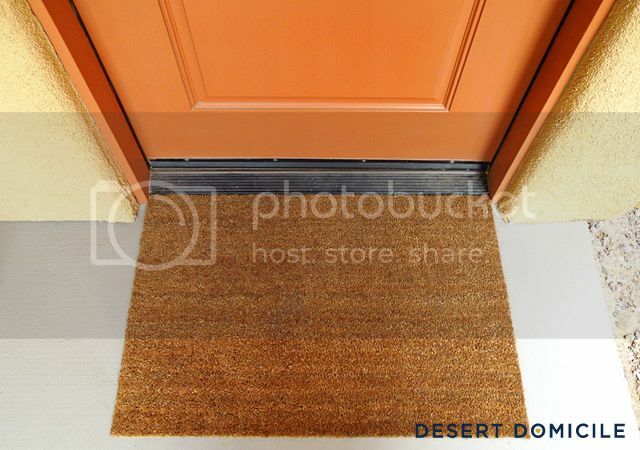 I was thinking of making a knockoff of Reed Wilsons' HOLLA doormat but it's not very fitting for our home since we never say "Holla" haha "Welcome" seems too boring. What do you think of our spring patio? I love it with the orange too! 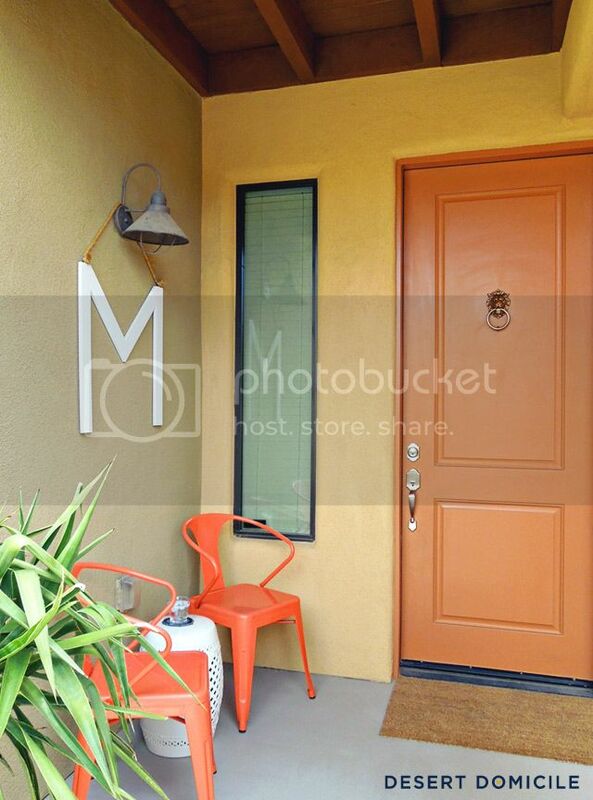 "bring your best foot forward"
love how fresh and modern your entry is! those chairs are perfect! and of course la la la la love the lion. Such a great updated and fresh look. I love it! 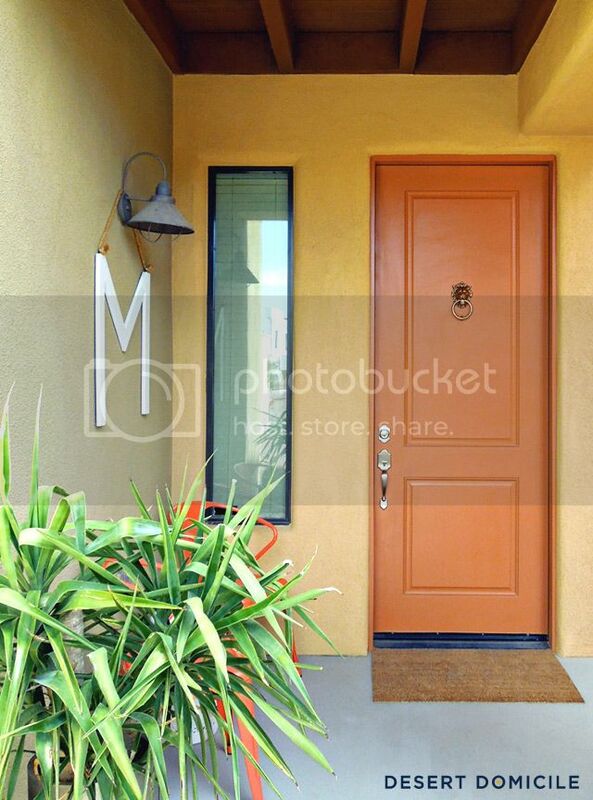 I really like that hardware you picked, but that door knocker is so awesome. 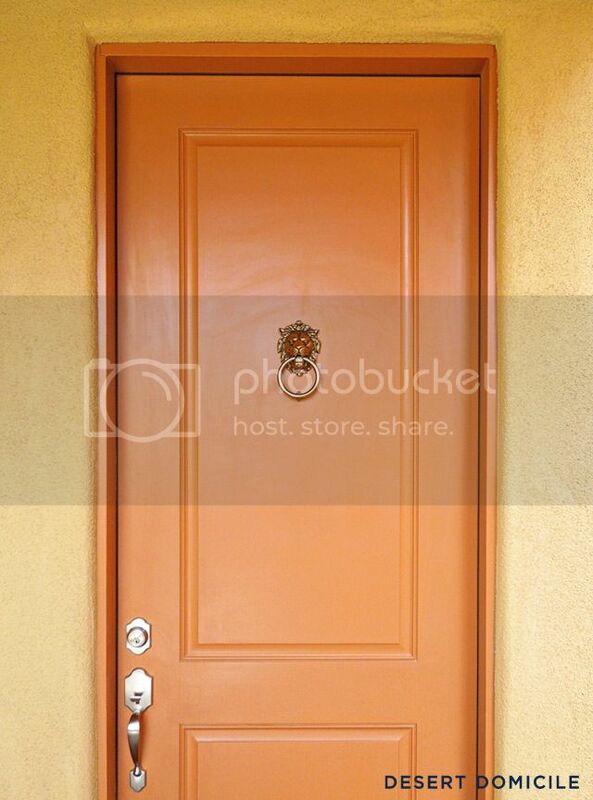 gahh it looks SO good on your door! Lookin' great! And yes yes yes to that hardware! What about "Home, Sweet!" or the standard "Home Sweet Home" in a modern font or "Oh Hey!" 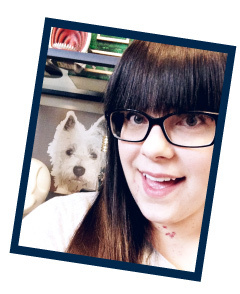 Apparently I think I'm a copywriter today. Feel free to ignore me haha. 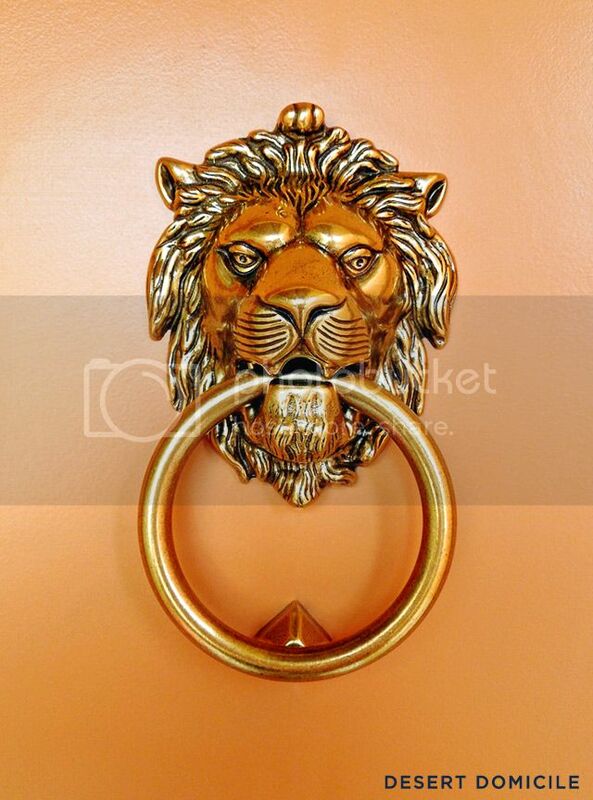 Love the knocker on the door! It's perfect! Love it! So pretty and fierce. And I actually think the size is spot on. I've always wanted to do 'hola' but ... we speaky spanish over here lol. Oh this is wonderful!! It's perfect. The door hardware is wonderful--slim but strong looking and even tho it's modern it looks like it's been there from the first day. Small changes can make a big difference. Love it all.